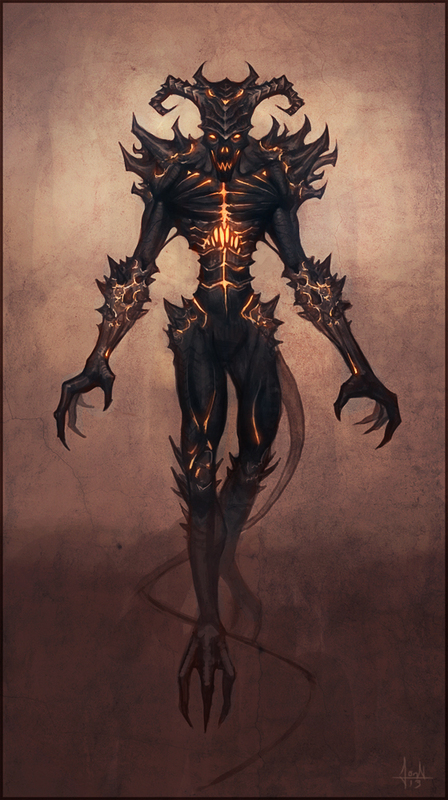 Amon reigns as one of the lesser Ymera of Hell, but nonetheless is heralded and respected for not only his efforts in the war against Heaven, but also his actions at the Fall, when Lucifer was Crowned by his hand and they rebelled, ultimately being cast down into the darkest of realms, away from the light of the Highest. As he fell, an Oath to serve escaped his lips, and was written into his very existence, so he serves, willingly, under the First Fallen. His four most notable efforts were swaying the Power of Crowns into his service, pacting the Power of Hounds to obey him, claiming the Estate of Etiquette from the Angels themselves as a prize of battle by ripping it from said Angelic Ymera's very self, and surviving the impalement of the Archangel Michael's fiery sword directly into him. As a result of this last one, all of his words are accompained by smoke and flame, and his skin roars and crackles with fire when he loses focus on keeping himself stable and alive. Rumors abound that he was once very beautiful, like other Fallen, but that the fire of Michael's sword and the rejection of Heaven's light twisted and seared him into his current appearance.